Dr Small is a vice president in CRA’s European Competition Practice, and is a specialist in applying econometric techniques to antitrust matters. Since becoming an economic consultant in 1999 he has worked on a large number of competition cases in various jurisdictions. These include merger cases before the European Commission, such as UPS/TNT, Unilever/Sara Lee, Panasonic/Sanyo, Sappi/M-Real, Pernod Ricard/V&S, BAT/STK, and Ineos/Kerling, and before the UK competition authority, such as OUP/NT, Jewson/Build Center, Unilever/Alberto Culver, Travis Perkins/BSS, Co-op/Somerfield and HRG/Focus. 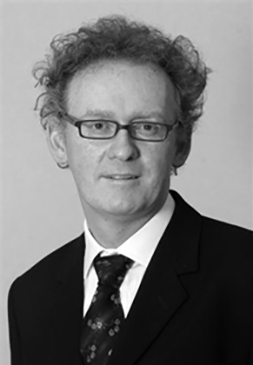 He has also worked on a number of non-merger cases, including the EU Commission’s investigation into credit card interchange fees, the Airfreight cartel, the OFT’s investigations into the Diary Product Price Initiative and Scottish Milk Prices, as well as various Competition Commission market inquiries, including Northern Ireland PCAs and Domestic Bulk LPG supplies. Prior to becoming an economic consultant, Dr Small was an economic specialist at the Bank of England.